T his Maca webpage is dedicated to bringing you the correct understanding and information to you the consumer for Peruvian Maca Root, you will find significant history and information about Maca as well as what Maca is and is not used for. Peruvian Maca Root is referred to as the Miracle Herb, a radish-like root that we grow in the Andean mountain tops of Peru. Peruvian Maca Root naturally contains significant amounts of amino acids, carbohydrates, vitamins, and minerals and has natural medicinal and nutritional qualities that effects the human body in a very favorable way because it contains true adaptogen qualities . Understanding What an Adaptogen Is? 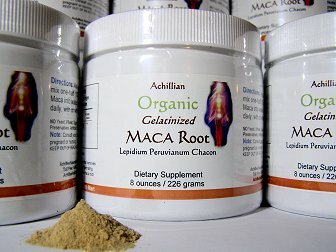 Maca Root is a clear classic example of what an adaptogen is. As can be surmised from the word itself, an 'adaptogen' is a substance that helps the body to "adapt" to particular stresses put upon it and for the body to adapt to those stresses by regulating itself naturally with the stimulation of an herb food. The word 'adaptogen' was first used by the Russian scientist Dr. Nickolai Lazarev in 1947. He reported on several indigenous plants that helped increase the body's natural resistance to environmental stresses and later coined the term "adaptogen's". One of the first Soviet scientists to embrace new ideas was Dr. Nicholai Lazarev, a pioneer in the then-emerging fields of toxicology and preventive medicine. Lazarev grew up in Russia during and following the Revolution. During this period Soviet leaders were aggressively transforming Russia from an agrarian to an industrial society. This extreme transition was driven by a desperate desire to not only catch up with the West, but to dominate the world - scientifically, politically, and militarily. Accompanying these rapid advances were many damaging consequences of industrialization. Shortly after graduating from medical school in 1928, Lazarev started working on ways to prevent the damaging effects of new industrial chemicals on humans. Lazarev and his scientific team identified over 400 previously unknown chemical compounds in the new factories, and studied the effects of these toxic industrial byproducts on humans. From the beginning of the second World War, the Soviet government drafted all Soviet scientist - including Dr. Lazarev - to work on military projects. Lazarev's efforts again shifted-this time to finding substances which could help soldiers overcome fatigue and improve their performance on the battlefield. His research resulted in the discovery of many effective stimulants. The Soviet military found that these drugs successfully improved the soldiers' productivity and performance in battle. With the soldiers as unknowing guinea pigs for amphetamines and other stimulants, Lazarev learned that many of the drugs were very effective in improving performance in response to great challenges in extreme situations for very short terms. However, he realized that the stimulants were not as beneficial in a peaceful environment as they were in wartime, and were harmful when used for prolonged periods. When WWII ended, Lazarev resumed his research on substances with non-specific, broad ranges of action. His search was not limited to the modern conventional practices used today to develop synthetic drugs. He also investigated century-old methods of ancient preventive medical systems. Lazarev was especially intrigued by a group of herbs that ancient medical traditions referred to as 'elite' or 'kingly.' In traditional Chinese medicine these herbs were classified as effective for increasing physical and mental capacity, reducing fatigue, improving resistance to disease, and promoting life extension. In China these herbs were used by soldiers directly before battle. In Siberia they were used by hunters before long and dangerous journeys. Despite countless legends, thousands of years of use by people in China, Russia, Japan, Korea and Europe, the benefits of these plants had never been scientifically studied. 1. The plant must be nontoxic and totally harmless to the body. It must allow the continuing normal physiological activity of the individual. 2. The action it exerts must be nonspecific and should maintain normal body functions despite a wide range of onslaughts to the body (i.e. stress). 3. It should normalize body functions irrespective of existing pathological conditions. Unlike allopathic drugs which carry with them the possibility of side effects, adaptogen's must benefit the body without disturbing it or doing it harm. Not many plants possess adaptogenic properties. In fact it is estimated that only one in 4,000 plants is classified as an adaptogen. Maca Root is one of the more powerful adaptogenic herbs known fulfilling all the above criteria. Maca Root effect on the body is two-fold. First, it directly nourishes the endocrine system . Second, it normalizes the nervous and hormonal systems in the body when they are adversely affected by stress and aging changes. Although adaptogen's generally function in the same way, and have a great many health-giving properties, they are not all the same. What makes Maca Root so unique is the wide variety of therapeutic effects that scientists have demonstrated through their research; i.e., re-stimulate the entire endocrine system of the body, starting with the master glands and proceeding to then affect all the other major endocrine glands, balancing the hormonal system, increasing estrogen and progesterone levels as well as testosterone levels, feeding the pituitary gland and allowing the hypothalamus to regulate the body normally etc. In other words, getting these benefits by taking Maca Root could eliminate the need for using an array of other supplements. Parts Used and Where Grown: Maca Root is a hardy perennial plant cultivated high in the Andean Mountains at altitudes between 11,000 to 14,000 feet. It grows as a mat-like stem system. Maca Root leaves grow close to the ground and the plant produces a small self-fertile off-white flower typical to the mustard family, which it belongs to. The part we are interested in, is the pear-like tuberous root of about 8cm in diameter and of a pale-yellow/white color. Although it is a perennial, it is reproduced by seeds which require approximately 7-9 months for harvesting. The habitat of Maca Root is the inhospitable land of the high Andes, where in fact nothing else grows anymore. The land is exposed to intense sunlight, violent winds and a rough climate below freezing temperatures. conditions. Due to the rocky soil, it's extreme weather conditions, this land belongs to the poorest and worst farmlands of the world, but over the course of time the Maca plant learned to grow under these conditions and is the only such plant in all of South America that can grow under these harsh conditions and survive. Historical and Traditional Uses: Maca's history as a powerful strength and stamina enhancer and libido-fertility herb stretches back well over five hundred years. Maca is a powerful Adaptogen, which means it has the ability to balance and stabilize the body's systems naturally for men and women and is used uniquely for each person with the bodies own intelligence guiding it. Maca has been known to raise low blood pressure and lower high blood pressure as needed by the body. Adaptogen's also boost immunity and harmonize the body's overall vitality. Rather than addressing a specific symptom, Adaptogen's are used to improve the overall adaptability of the whole system of the body. For the indigenous inhabitants of the Andes, Maca is a vital and valuable commodity. Because so little grows in this region, Maca is often used for trading against other staple food like beans. rice, corn and sugar. It had been used over the ages for its nutritious and medicinal advantages. Maca is rich in sugar, proteins, starches and important minerals, especially in iron and iodine.